Are you running out of space and don’t know where are you going to start to eliminate some of them? The same when you want to tidy up your home or office to get more enough space for new stuff. If you’re in any of these situations, you better start looking now for long term storage Rhodes or any kind of depots that you think might work for your need. Good thing, Macy’s Mobile Self Storage can offer it to you! There are many benefits that the long term storage Rhodes can give you. Just when you’re still going into a university, you might find it inconvenient to travel every end of your term. And bring your stuff with you when going home and back to your university. Well, you don’t have to do that again because Macy’s Mobile Self Storage can bring many differences when it comes to storing items. Macy’s Mobile Self Storage can provide affordable and budget-friendly depot units like long term storage Rhodes. So, if you already have allocated budget for it, we’ll try our best to match the discounted depots that we have with the fund that you have. Along with its affordability, we also guaranty its security, safety and accessibility once you decided to store your items on our facility. We value your items as if it’s ours so keeping them away from getting damaged is one of our main intentions. And make sure that when you claim them, your belongings are still in the same condition as the first time you store them. Our services are also useful when you’re having a big move. Like for instance, if you have to relocate your office servers, which is obviously, you’ll be transferring computers, it is probably hundreds of it. When a day is not enough to relocate them, then you’ll be needing a good and safe place where you can keep some of them for the meantime. In that way, you can focus on other matters rather than stressing yourself about where you can store them and make sure to maintain their good condition. No matter what season we have, there is a huge chance that you’ll be needing a long term storage Rhodes or any type of depot units that’ll fit your demand. Yet, there are a few factors that you have to consider when you look for a depot facility. Yes, there are many depot companies that can give great deals. However, are you sure that they’re what you need? Checking its capability to keep your items away from getting damaged is important. The same with its security features, to make sure that your belongings are safe and sound while you’re away and busy dealing with other matters or you’re on a trip. As mentioned above, Macy’s Mobile Self Storage is not only offering long term storage Rhodes but also short term depots. You might just prefer to keep them for a short period probably because you’ll be travelling for a few days. And no one is going to stay at your premise. So, the best option that you can have is to get Macy’s Mobile Self Storage’s service. 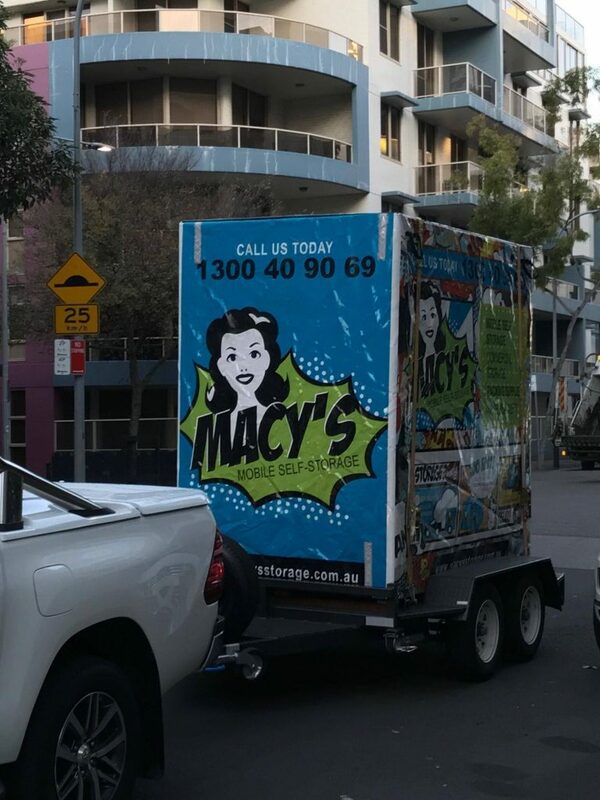 Macy’s Mobile Self Storage can bring you convenience in so many ways. You can trust us when it comes to your stuff being kept on our premise. We do our best to meet your storage demands so you can have an amazing experience with us. So, whether you choose to have the long term storage Rhodes or other depot units, we’ve got your back! And by visiting our website, you can find more helpful tips, hacks and articles on our blog section. You’ll know how to properly organise your stuff before storing them in a depot. And what are the items that aren’t allowed to be stored in there and so on and so forth. So, what are you waiting for? Reach out to us and see what more can we offer you by letting us know your depot needs. This entry was posted in Storage and tagged long term self storage, long term storage, mobile storage, self secure storage, self storage.